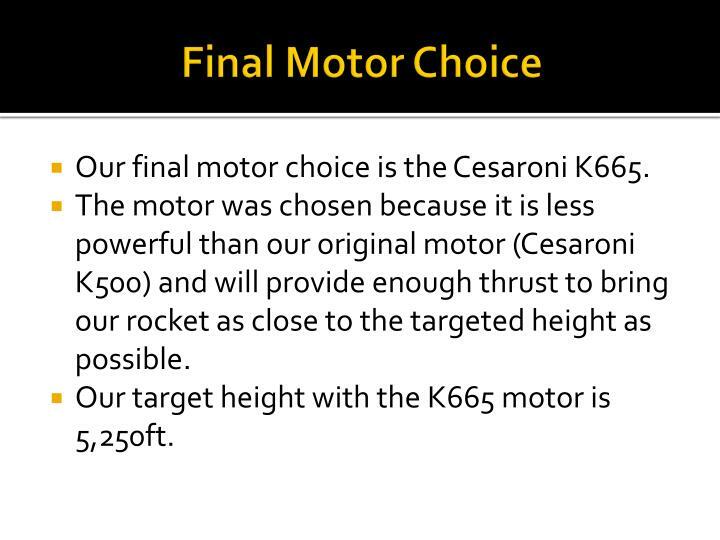 Our final motor choice is the Cesaroni K665. The motor was chosen because it is less powerful than our original motor (Cesaroni K500) and will provide enough thrust to bring our rocket as close to the targeted height as possible. 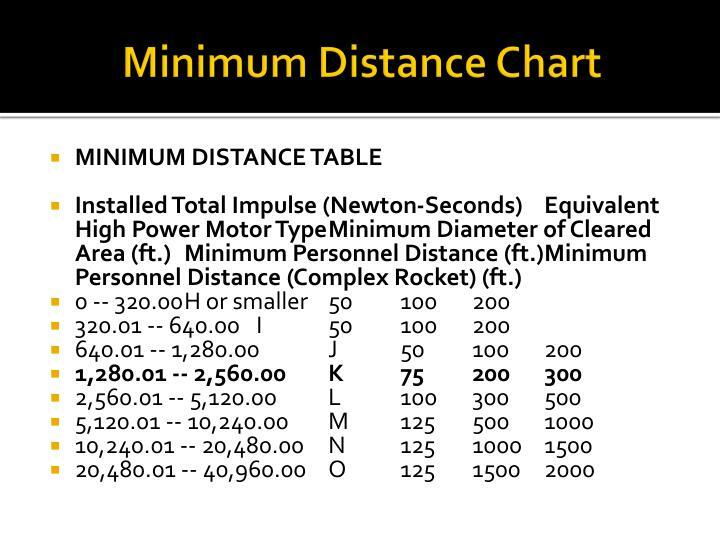 Our target height with the K665 motor is 5,250ft. 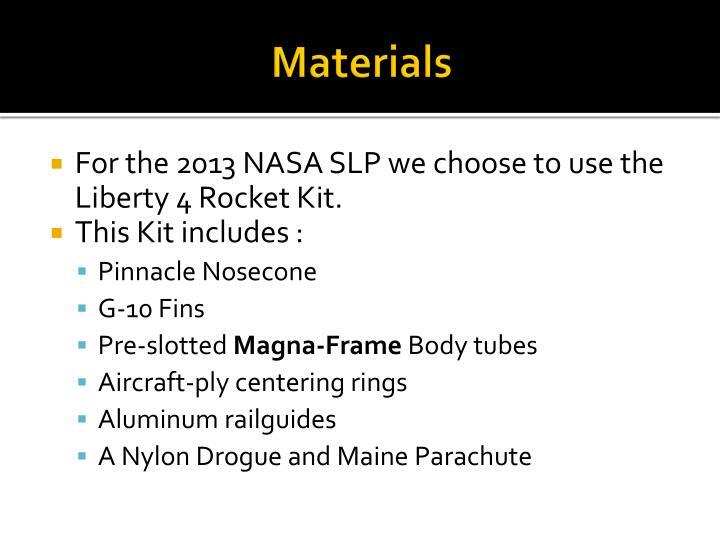 For the 2013 NASA SLP we choose to use the Liberty 4 Rocket Kit. 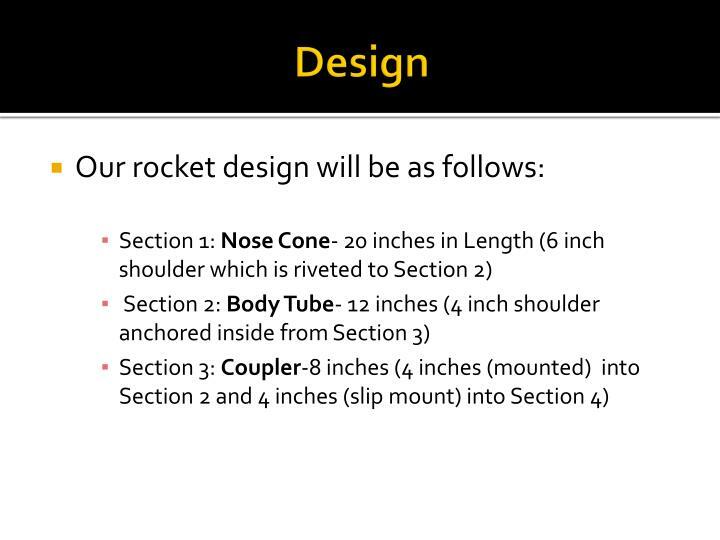 The internal diameter of our rocket is 3.90 inches. The total length of our rocket is 86 inches. Main parachute diameter 60 inches. Drogue parachute diameter is 25 inches. 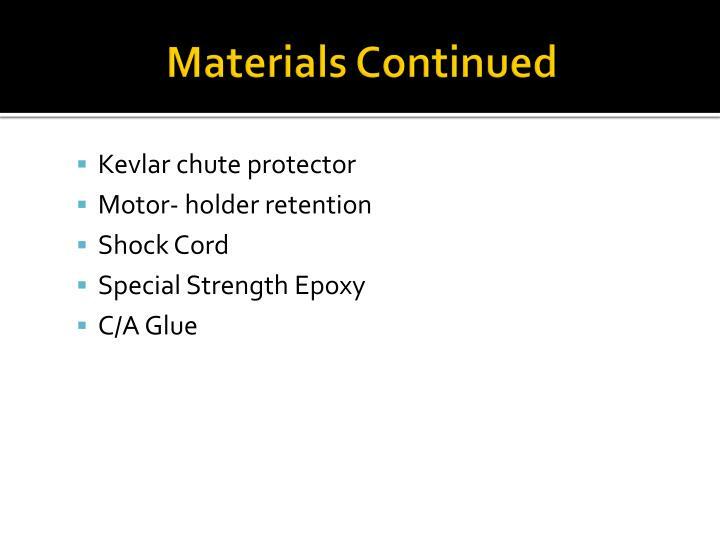 Section 5: Coupler – 8 inches total (4 inches attached to Section 4 and 4 inches secured to Section 6 with a slip mount) . 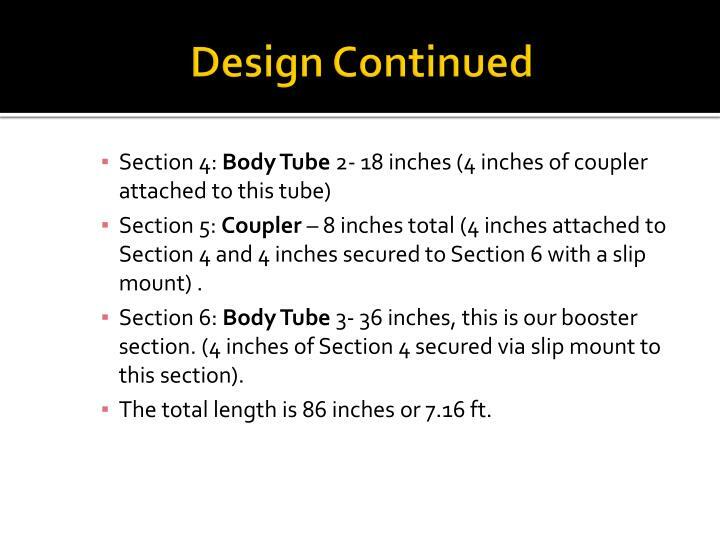 Section 6: Body Tube 3- 36 inches, this is our booster section. (4 inches of Section 4 secured via slip mount to this section). 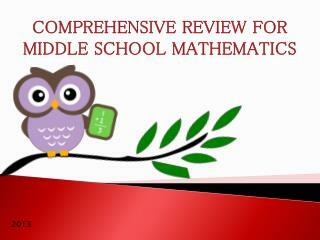 The total length is 86 inches or 7.16 ft. 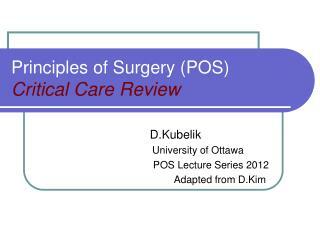 Section 4 will contain our Main parachute. 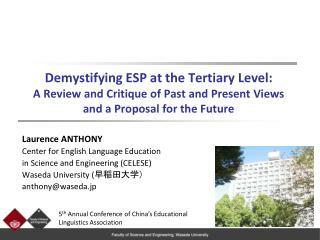 Section 5 will contain our AV bay. 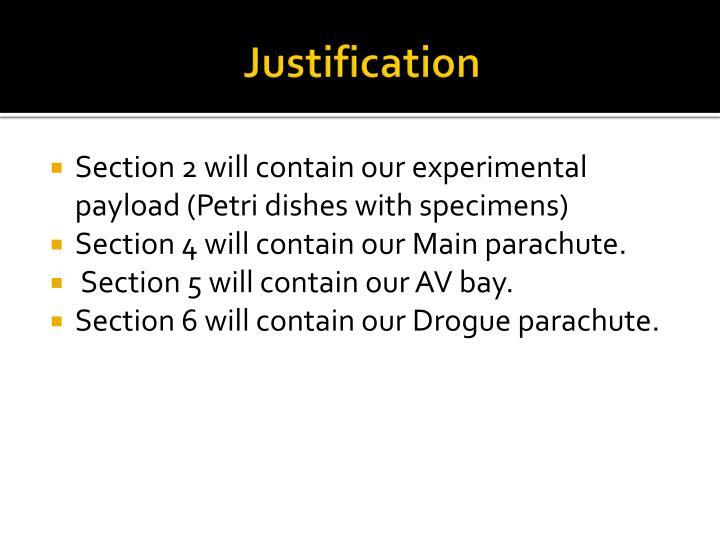 Section 6 will contain our Drogue parachute. 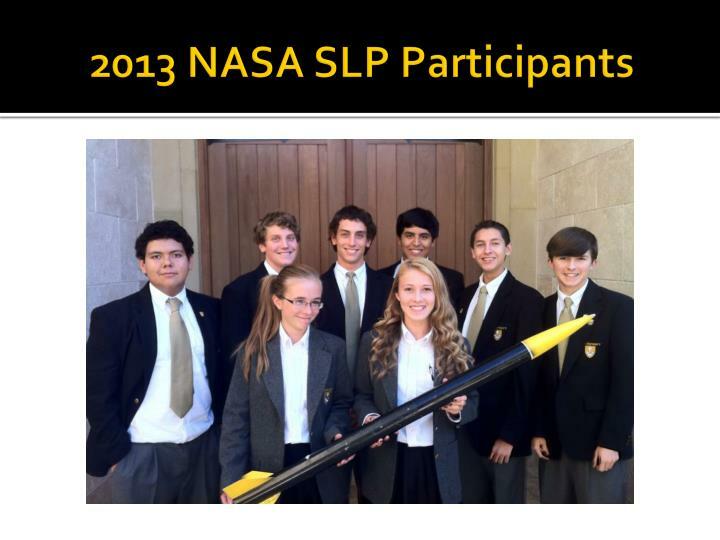 The total mass of our rocket at lift off will be 12.3 lbs. 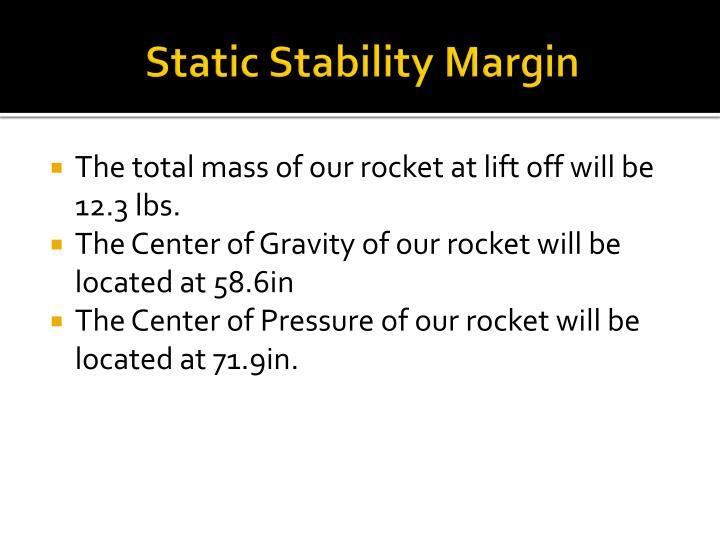 The Center of Pressure of our rocket will be located at 71.9in. 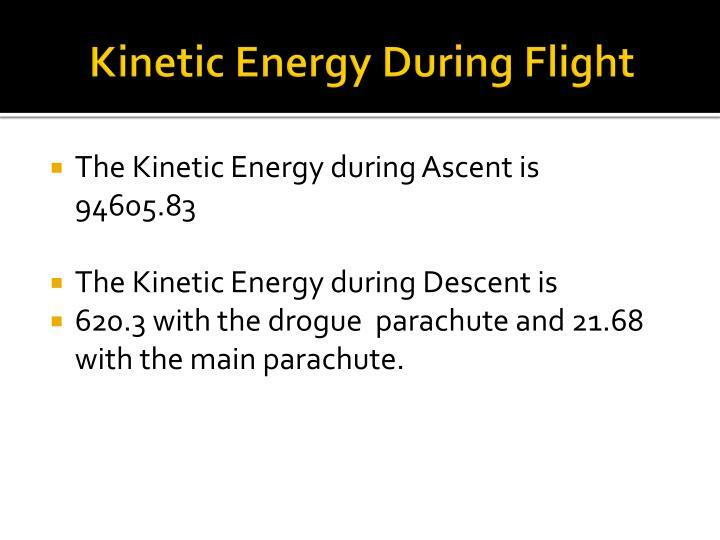 620.3 with the drogue parachute and 21.68 with the main parachute. 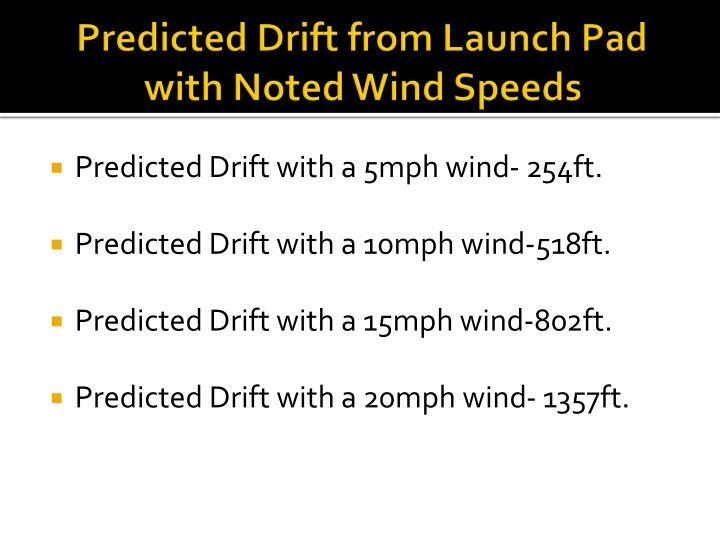 Predicted Drift with a 5mph wind- 254ft. Predicted Drift with a 10mph wind-518ft. Predicted Drift with a 15mph wind-802ft. Predicted Drift with a 20mph wind- 1357ft. 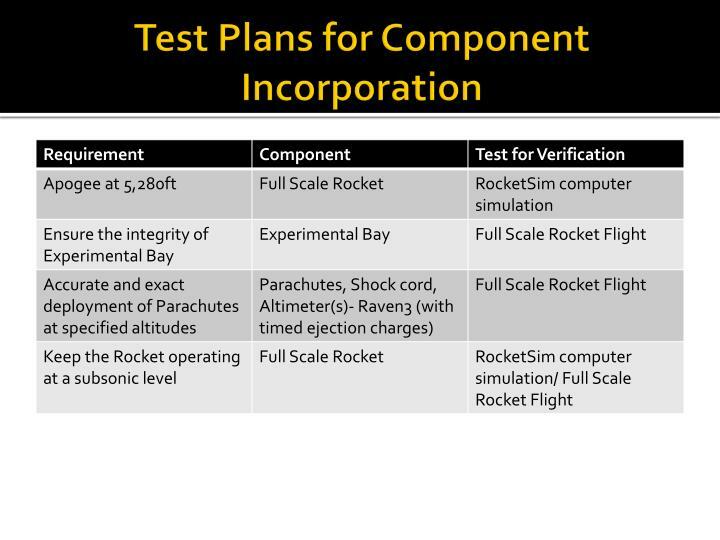 High powered rocketry can present certain safety hazards. 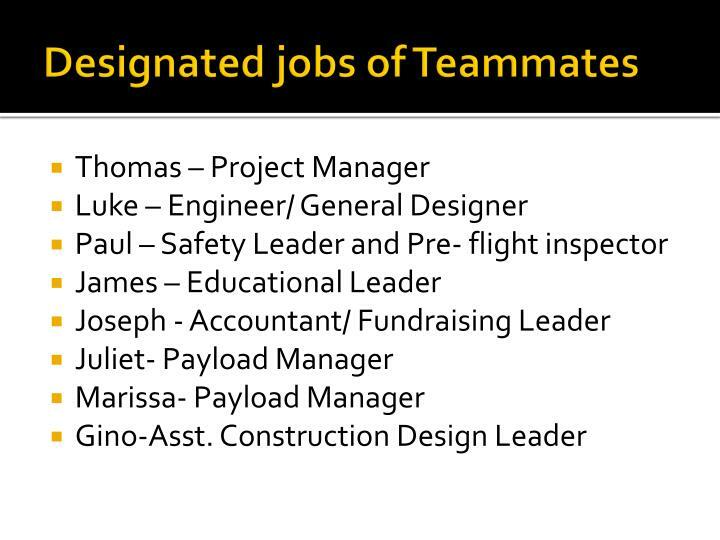 The team understands that it is responsible for creating a safe work environment during all activities involving the SLI project. 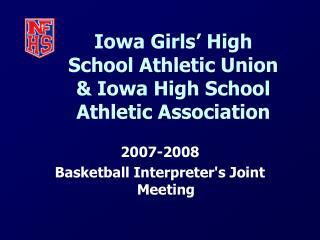 A safety plan is necessary to ensure this safe work environment. 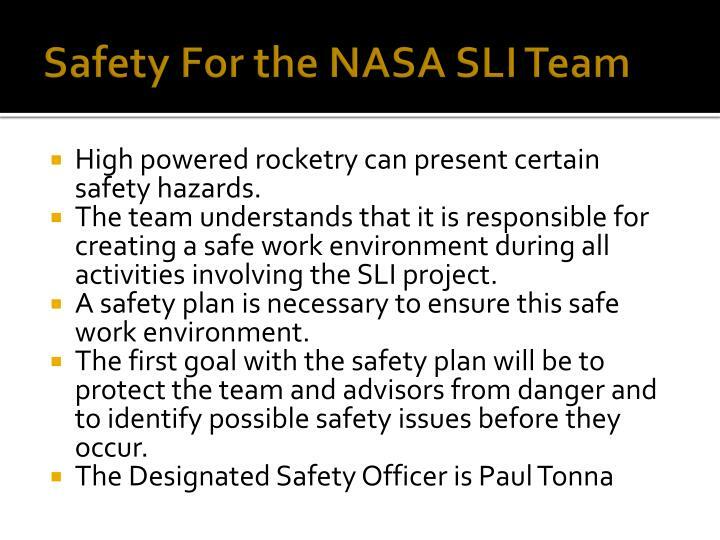 The first goal with the safety plan will be to protect the team and advisors from danger and to identify possible safety issues before they occur. 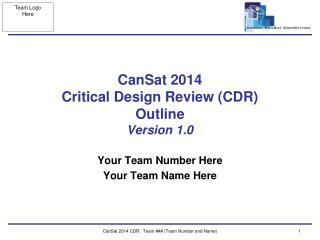 Safety briefing before each launch the team will review proper launch procedures. 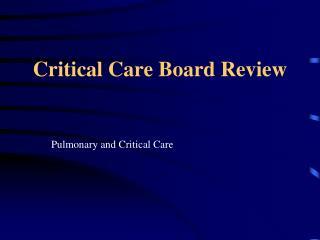 Proper recovery methods will be reviewed. 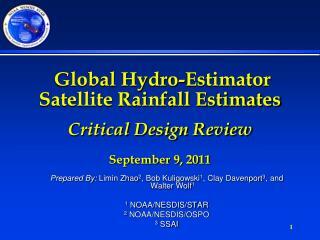 Once the review is completed the launch site and weather conditions shall be tested see if a launch will possible. 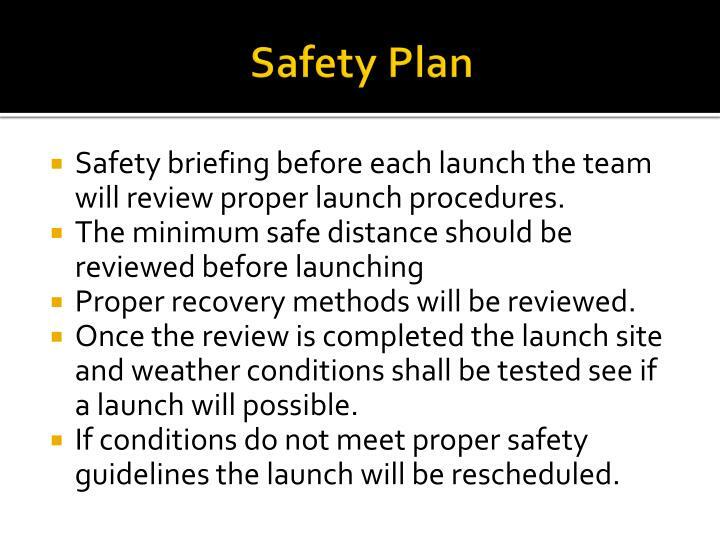 If conditions do not meet proper safety guidelines the launch will be rescheduled. 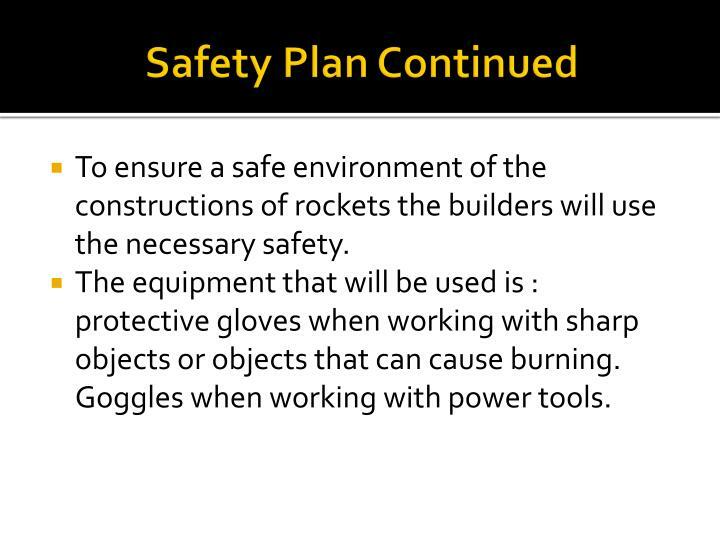 To ensure a safe environment of the constructions of rockets the builders will use the necessary safety. 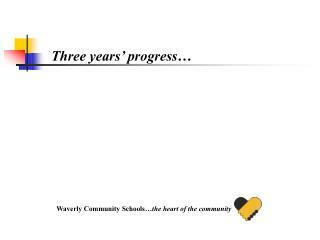 The equipment that will be used is : protective gloves when working with sharp objects or objects that can cause burning. Goggles when working with power tools. 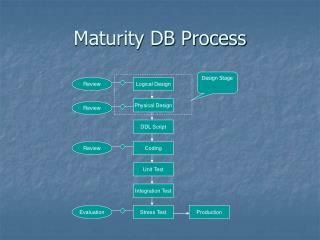 Thrust to weight is generally calculated by looking at the starting thrust in comparison to the average thrust. 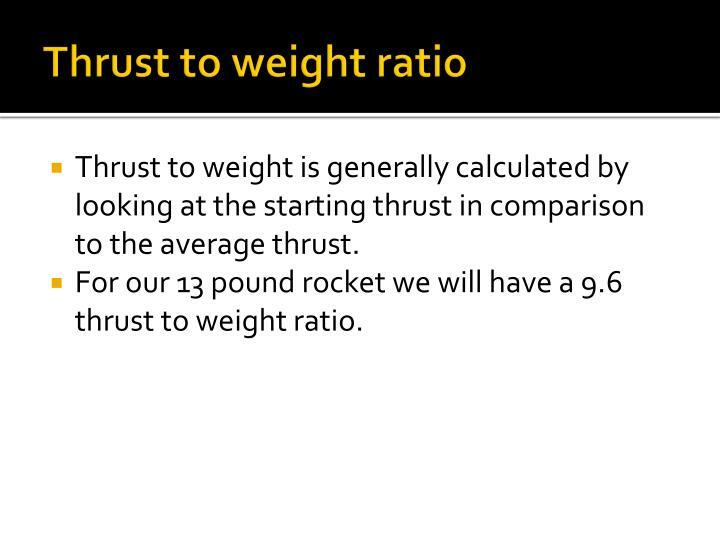 For our 13 pound rocket we will have a 9.6 thrust to weight ratio. 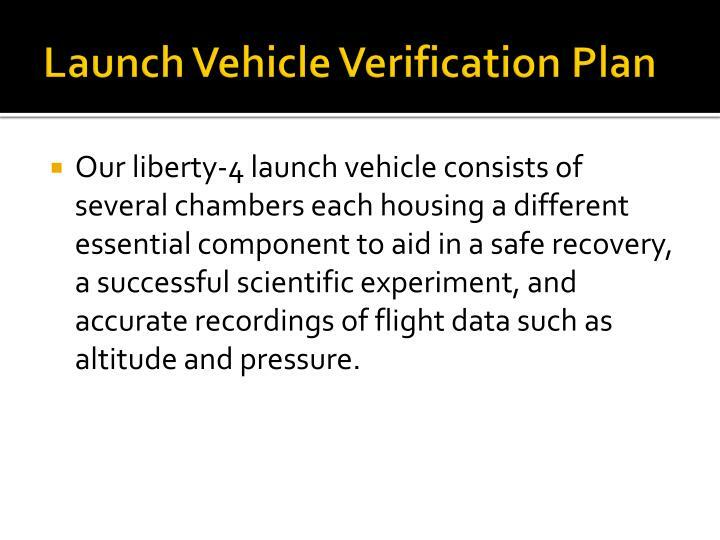 Our liberty-4 launch vehicle consists of several chambers each housing a different essential component to aid in a safe recovery, a successful scientific experiment, and accurate recordings of flight data such as altitude and pressure. 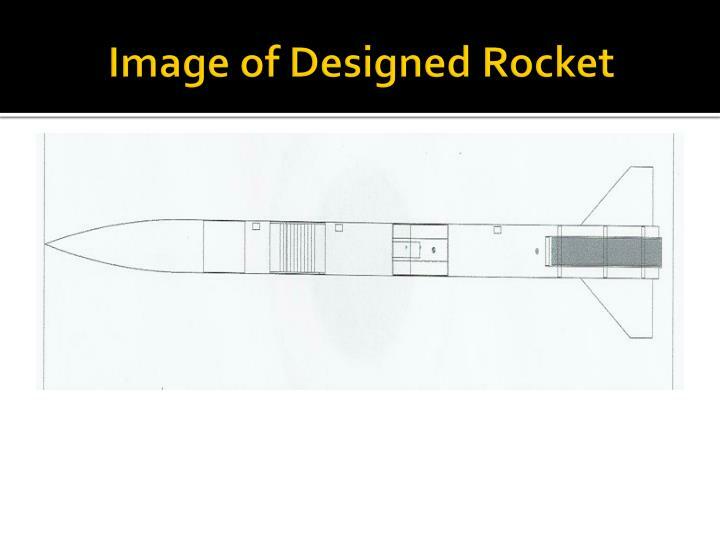 The liberty-4 rocket, contains an experimental bay, which houses our scientific experiment based on the effects of pressure and g-forces on mitosis. Also, in another compartment, is an Avionics Bay which houses our altimeter and GPS (global positioning satellite) module. 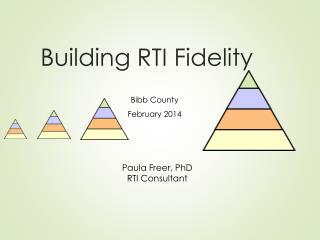 In total, the rocket fully assembled is approximately 7.16feet in height. 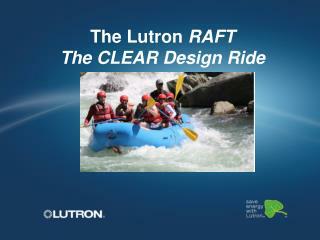 Our team will be using nylon parachutes. 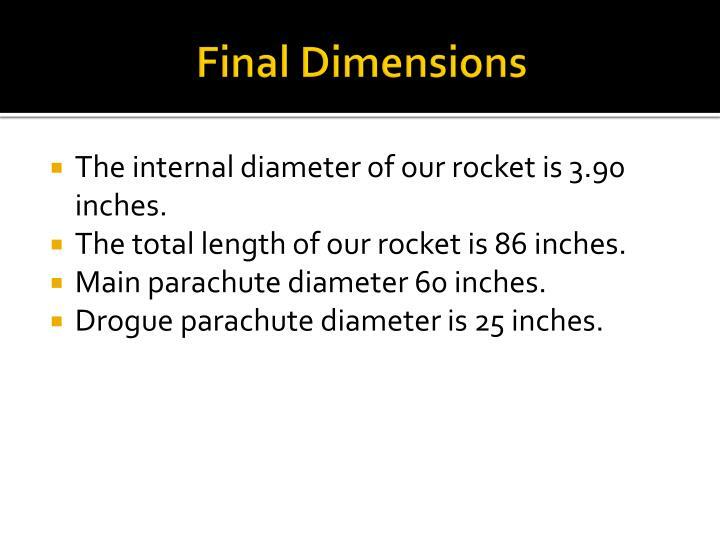 Our parachute will have a diameter of 60 inches. 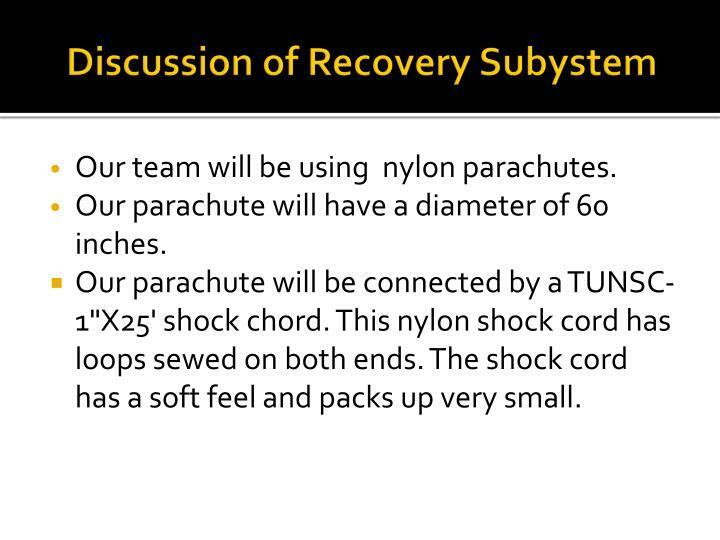 Our parachute will be connected by a TUNSC-1"X25' shock chord. This nylon shock cord has loops sewed on both ends. The shock cord has a soft feel and packs up very small. 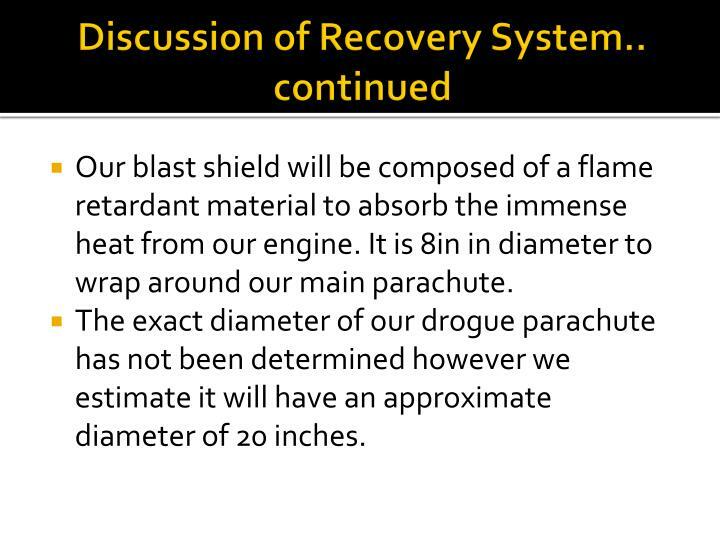 Our blast shield will be composed of a flame retardant material to absorb the immense heat from our engine. It is 8in in diameter to wrap around our main parachute. 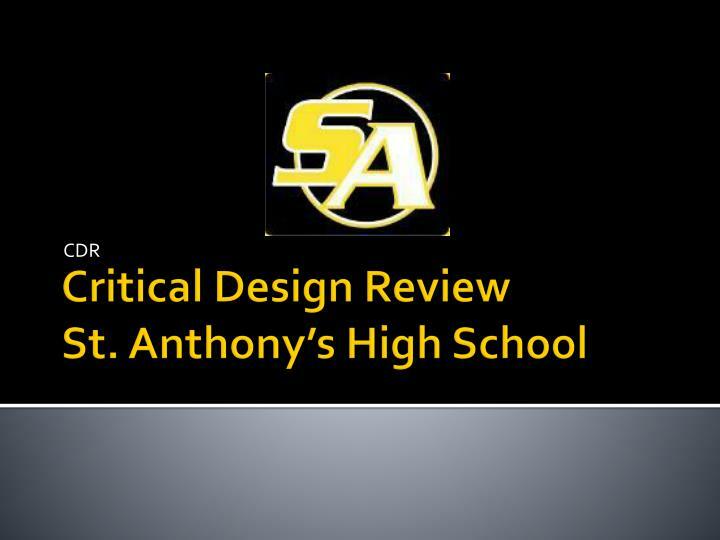 The exact diameter of our drogue parachute has not been determined however we estimate it will have an approximate diameter of 20 inches. 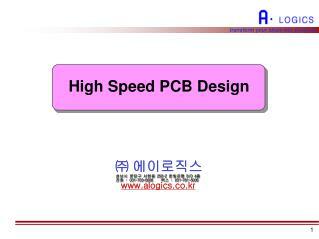 The design of the payload is going to be similar to the avionics bay but have an altimeter which will hold 10 Petri dishes that will containing Euglena and Physmitrella patens. 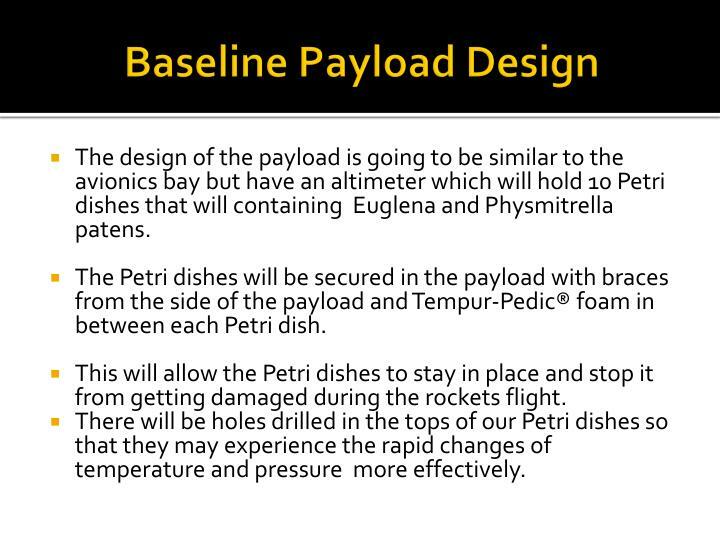 The Petri dishes will be secured in the payload with braces from the side of the payload and Tempur-Pedic® foam in between each Petri dish. 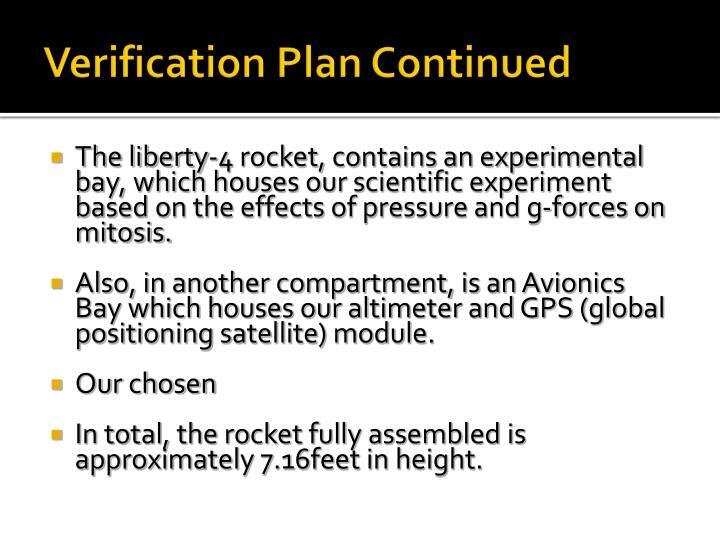 This will allow the Petri dishes to stay in place and stop it from getting damaged during the rockets flight. 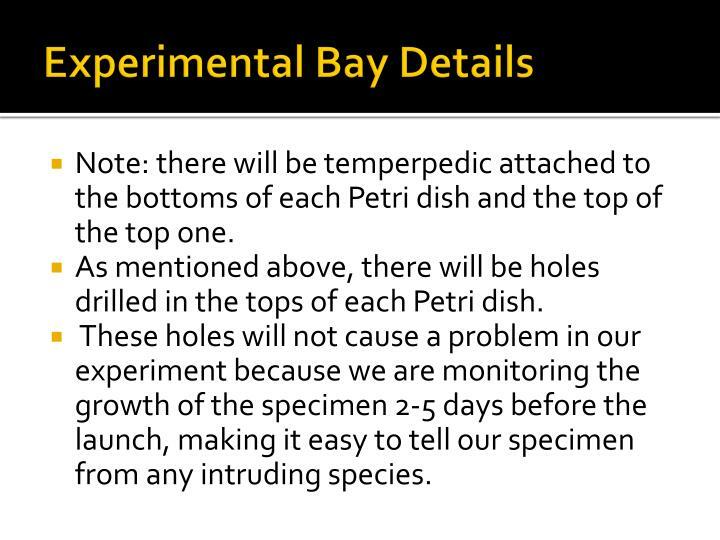 There will be holes drilled in the tops of our Petri dishes so that they may experience the rapid changes of temperature and pressure more effectively. 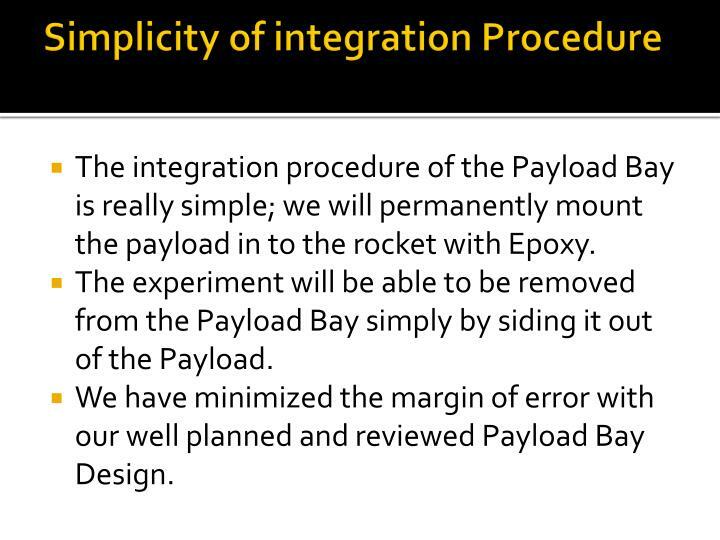 The integration procedure of the Payload Bay is really simple; we will permanently mount the payload in to the rocket with Epoxy. 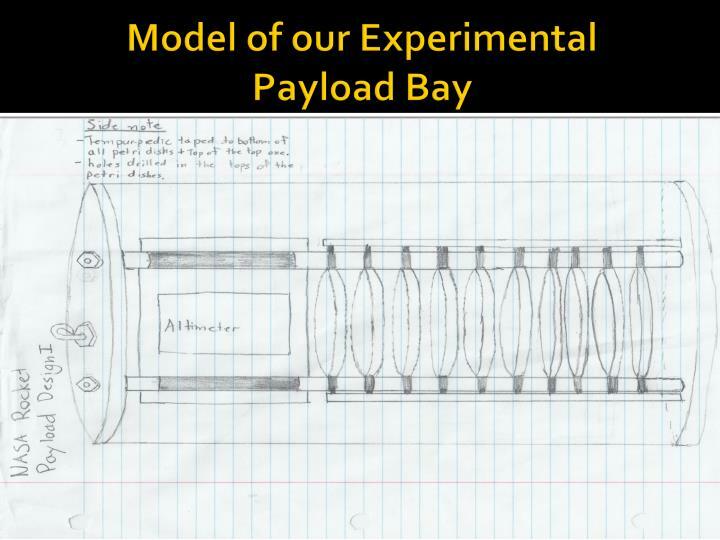 The experiment will be able to be removed from the Payload Bay simply by siding it out of the Payload. We have minimized the margin of error with our well planned and reviewed Payload Bay Design. Note: there will be temperpedicattached to the bottoms of each Petri dish and the top of the top one. 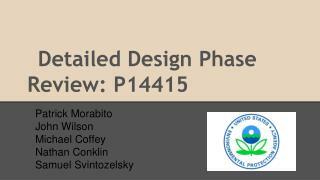 As mentioned above, there will be holes drilled in the tops of each Petri dish. These holes will not cause a problem in our experiment because we are monitoring the growth of the specimen 2-5 days before the launch, making it easy to tell our specimen from any intruding species. The Second part of the payload, the Raven 3 altimeter, will be contained in the rocket’s payload bay directly above the specimen. 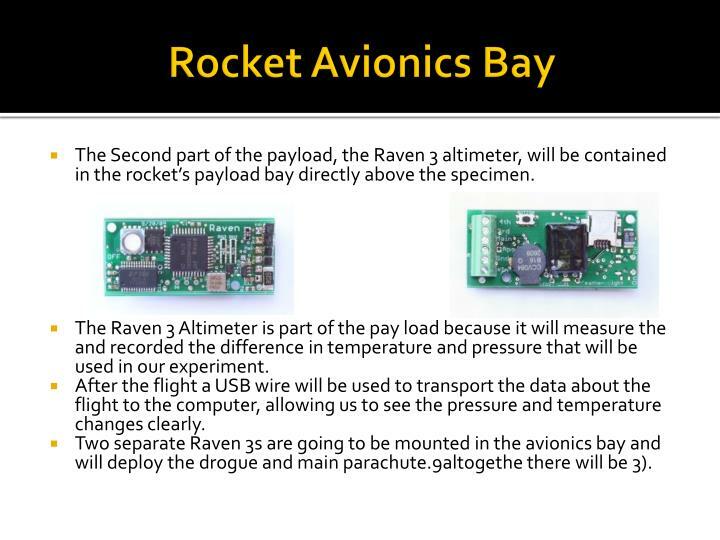 The Raven 3 Altimeter is part of the pay load because it will measure the and recorded the difference in temperature and pressure that will be used in our experiment. After the flight a USB wire will be used to transport the data about the flight to the computer, allowing us to see the pressure and temperature changes clearly. Two separate Raven 3s are going to be mounted in the avionics bay and will deploy the drogue and main parachute.9altogethe there will be 3). 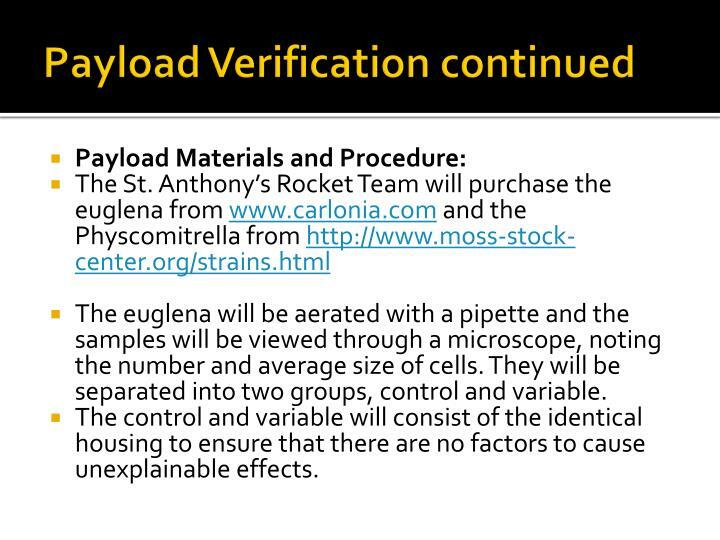 After making several modifications since the submission of the proposal, our payload will consist of 5 samples of euglena and 5 samples of Physcomitrella patens. 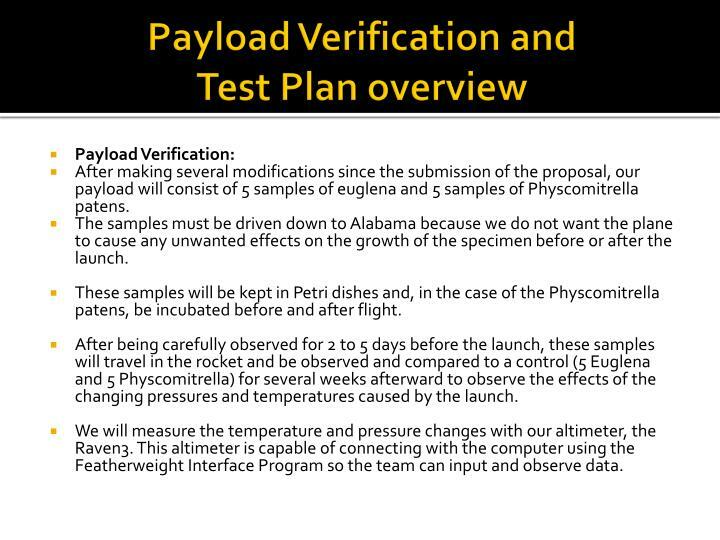 The samples must be driven down to Alabama because we do not want the plane to cause any unwanted effects on the growth of the specimen before or after the launch. These samples will be kept in Petri dishes and, in the case of the Physcomitrella patens, be incubated before and after flight. After being carefully observed for 2 to 5 days before the launch, these samples will travel in the rocket and be observed and compared to a control (5 Euglena and 5 Physcomitrella) for several weeks afterward to observe the effects of the changing pressures and temperatures caused by the launch. 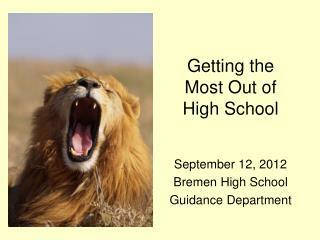 We will measure the temperature and pressure changes with our altimeter, the Raven3. This altimeter is capable of connecting with the computer using the Featherweight Interface Program so the team can input and observe data. The euglena will be aerated with a pipette and the samples will be viewed through a microscope, noting the number and average size of cells. 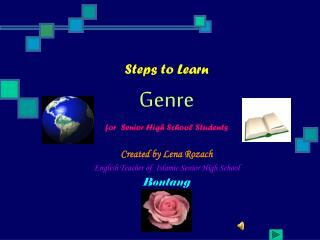 They will be separated into two groups, control and variable. 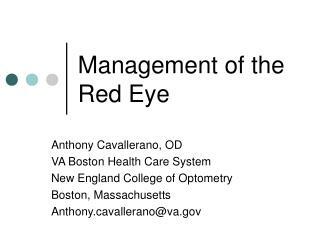 The control and variable will consist of the identical housing to ensure that there are no factors to cause unexplainable effects. 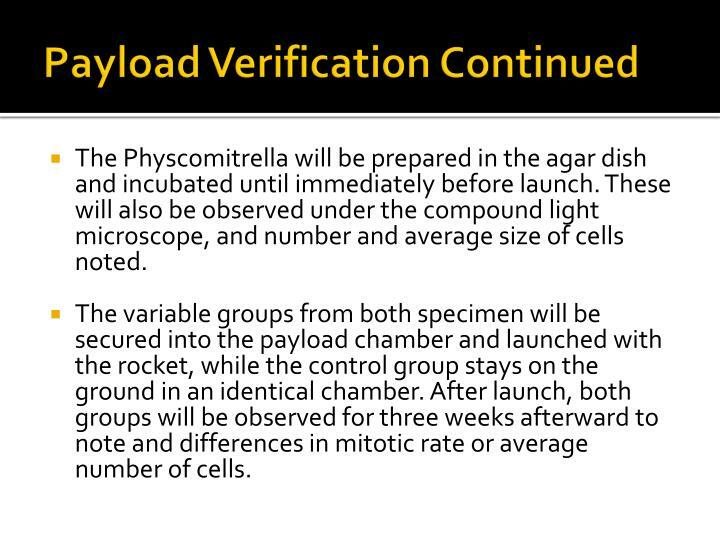 The Physcomitrella will be prepared in the agar dish and incubated until immediately before launch. 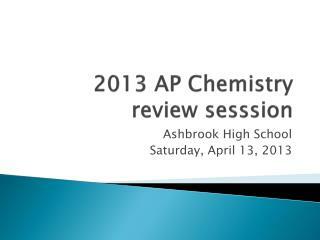 These will also be observed under the compound light microscope, and number and average size of cells noted. 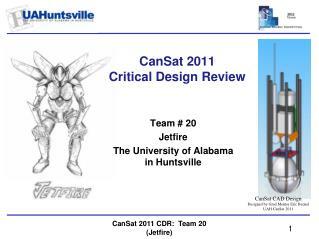 The variable groups from both specimen will be secured into the payload chamber and launched with the rocket, while the control group stays on the ground in an identical chamber. 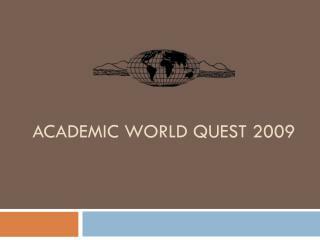 After launch, both groups will be observed for three weeks afterward to note and differences in mitotic rate or average number of cells. 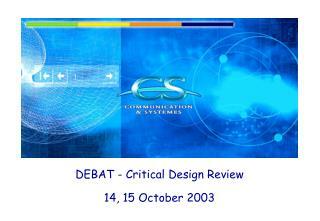 DEBAT - Critical Design Review 14, 15 October 2003 -Debat - critical design review 14, 15 october 2003.